A couple of weeks ago I was invited by Jay Ducote of BiteAndBooze.com to attend his second dinner at the Tin Roof Brewery. Called "The Truck The Brewer And The Blogger II" the event was promoted as "Louisiana Re-Imagined" and featured Jay's cooking talents, the Taco de Paco Food Truck, and the beers of the Tin Roof Brewing Company. Mandi and I arrived a few minutes early to find Jay and the crew working hard on their dishes. Several friends from Brasseurs A La Maison were also attending the dinner so we picked out some seats with them and started on the first few beers. The first appetizer to come out was the Red Beans and Smoked Sausage Spring Roll... now I'll admit I really get put off by the texture of red beans so I passed on this one, but Mandi and the others seemed to really enjoy it. Appetizer (er, hors do'oeuvres) number two was a fried Louisiana oyster served on a bed of wilted spinach with absinthe butter sauce. Now this was more my speed as I really enjoy fried oysters. The absinthe butter sauce really added a nice kick of flavor to the perfectly fried oyster. Very well done dish, and since Mandi doesn't eat seafood, I enjoyed a pair! Up next was the soup course, a cream of corn soup topped with crumbled bacon. It was served piping hot along with a nice cool pitcher of Tin Roof Blonde, so once we had passed the beer around the table and all topped off it was time to try the soup. And we were not disappointed, as both Mandi and I both thought it was the best dish yet. Rich, hearty, and I loved the bit of flavor the bacon imparted while still leaving it as a corn soup. Jay even said that he used the Tin Roof Blonde in making the soup... it didn't leave a major beer flavor, but I applaud the effort to get the beer involved in the dishes. The first dinner course came courtesy of Taco de Paco, their herb roasted quail with an andouille risoto and a drizzle of gumbo sauce. I really enjoyed the quail, and Mandi said that the risoto was quite nice as well. A few people had undercooked quail, but mine was just about right and seasoned perfectly. This course was paired with the Tin Roof Perfect Tin Amber Ale, a hoppier amber ale but it went well with the spices in the quail. Our second dinner course was also a Taco de Paco creation. For this course we were brought out turtle meat over smothered potatoes and onions, with pickled shallots. I hate being critical at these sort of events, but the turtle was extremely tough and really hard to eat. Some people at the table enjoyed it a lot, but I only ate a few pieces and wasn't sad to see the rest go. I guess not all dishes are a hit, but I do admire the gusto to serve a turtle dish. We were also treated to a sneak preview of the Tin Roof Voodoo Bengal Pale Ale cans with the turtle dish! These guys should be in stores now, so if you're looking for a solid canned pale ale, drink local. Finally, the dessert course! And I was excited to try the rum-soaked banana cupcake with a bananas foster icing created by Christina Stevens. This did not disappoint at all, leaving a lasting impression on all the diners. The sauce was really killer, I could have eaten a cup of that along and been satisfied, but the cupcake was phenomenal as well. Really a well done dessert, and a great compliment to the Tin Roof Parade Ground Coffee Porter, their latest seasonal and probably their best brew yet. All in all it was an enjoyable evening. Not all dishes were hits, but I think the corn soup and cupcake dessert were two of the better food items I've eaten recently. And the beers worked well to compliment the various courses, especially the coffee porter. Be on the lookout for another one of these events before too long, and don't hesitate to check it out! The best way to stay up to date about the next one is to go to BiteAndBooze.com and sign up for Jay's e-mail list. It might be after Christmas, but it's still December, so it's still cool if I feature a Christmas ale, right? RIGHT? I thought so. Rounding out 2012 is another of the classic Christmas Ales, the Anchor Brewing Our Special Ale 2012. Yeah, that's the legit name, but everyone just refers to it as Anchor Christmas, so I will as well. Anchor is one of the originators of the craft brewing movement in the USA, tracing their roots all the way back to 1849. 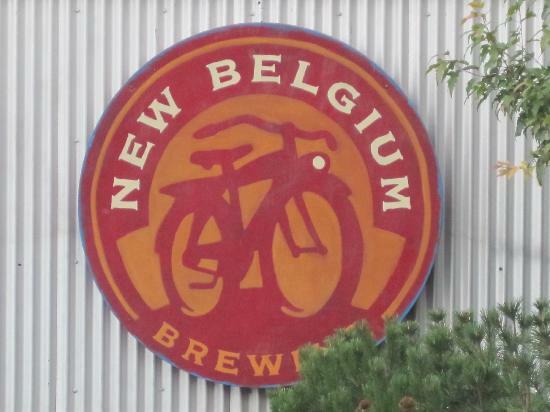 The brewery was bought and re-named to Anchor in 1896, closed during prohibition and then eventually succumbed to emergence of the mass-produced lagers and closed again in 1959. The brewery re-opened for a brief period in the 1960s, then was on the verge of closing down again when Fritz Maytag bought a majority ownership and transformed Anchor in to what it is today, the grandfather of the modern craft beer renaissance in the United States. Reviewers: Eric Ducote (BR Beer Scene), Jay Ducote (Bite And Booze), Jeremy Spikes and James Lawson (Whiskeybomb.com). Serving: 12 oz. glass bottle. Appearance: "Dark red hue, tan head, nice body," was Jay's impression, and I agreed. All of us scored the appearance 12/15 or better. Aroma: I found that it had a strong aroma of nutmeg, and was very cake-like. Jay also described it more as a toasted cake, with spices. I think it's a fantastic holiday spice aroma. Taste: Christmas cake. This beer's aroma and flavor really evoke the season and the spices of the season. Very well done. Mouthfeel: A little roasted but easy drinking. Jeremy described it as, "smooth & drinkable." Overall: Pretty much universaly enjoyed with three of the four of us scoring this one at 80 or above. I find it to be a classic Christmas ale, and as of this posting there was still more to be found in Baton Rouge at places like Whole Foods, Calandro's and The Beverage Store. Up now is one of the classic holiday beers from Sierra Nevada, the 2012 Celebration Ale. This beer comes out every year and it's a much anticipated release for many beer nerds out there. The main difference between the Celebration Ale and traditional holiday beers, is that Celebration is a fresh hop IPA, and it's not shy about it. It marks the beginning of the hop harvesting season, and is brewed with fresh hops typically less than a week from picking. Appearance: Red-orange color, small head. Jay said it was "cloudy with a chance of ale." Ha. Aroma: Hoppy, Jay described it as evergreen sap, I picked up some spices, but I think that's my mind playing tricks on me. Taste: Very piney flavor to the hops in this one... I still think I'm getting some holiday spice feel from the placebo effect, but it's a tasty beer. As expected, Jeremy didn't care for the taste too much... we'll convert him to an IPA drinker one day. Mouthfeel: Very bitter, a "hop sting" as Jeremy said. Overall: This one split our panel, with Jay and I liking the beer and scoring it in the 70s, while Jeremy and James weren't big fans and both scored it in the low 60s. It's not my favorite IPA, probably not my favorite holiday beer, but I do enjoy it. Have you never heard of Innis & Gunn before? All I can say about that is don't feel bad... neither had I. Jay brought this beer to the Raise A Glass table so naturally we all had some beer and had ourselves a good old beer review. It turns out Innis & Gunn is a brewery from Edinburgh, Scotland, UK, and they started out as part of an experiment to create an ale-finished scotch, not the other way around. After realizing how delicious the beer was after oak aging, they decided to brew the beer full time, focusing exclusively (it appears) on wood aged brews. This beer is an oak-aged porter checking in at 7.4% abv. Serving: 12 oz. clear-glass bottle. Appearance: Reddish, decent head. Not a Porter! I think we all agreed that while the beer had a decent look to it, it didn't look at all like a porter. Aroma: Rich, oaky, and caramel were three of my notes for the aroma. Jay picked up notes of candy, oak, and fruit, and Brenton really caught on to the molasses that this is supposedly brewed with. Taste: Sweet, very oaky again which makes a lot of sense for an oak-aged beer. There were definitely notes of vanilla as well from the oak aging, which most likely took place in an old bourbon barrel. Mouthfeel: I thought this one was easy to drink, and the 7.4% abv was a perfect midrange strength for the beer. It definitely could have stood to have some more body to it though, as Brenton and Jeremy both found it to be on the thin side. Overall: This one was a surprise to me, especially after seeing it show up in a clear glass bottle and look nothing like a porter. In the end, you can't really say that this is a porter in anything but the name, I think, but it was still a very nice beer and very enjoyable. I'll be looking for more from Innis & Gunn, especially some of the specialty whiskey-aged beers. It's been a long while in the making, but the much anticipated release of the Westy XII is finally near. It is slated to hit the shelves on this Wednesday, 12/12/12. I've heard conflicting information about the retail price, with the sets being anywhere from $90 to $125, but I do know that the big places in town like Calandro's and Whole Foods will be carrying it. I also know that a few bars, including Cove, will be selling the individual bottles for consumption. I've had a couple of opportunities to try the Westvleteren XII over the last few years and I must say it does not disappoint. It has lofty expectations for a beer that is in the debate for the best in the world, but I thought that it really followed through on the expectations. Of course "best in the world" is subject to debate for eternity, but I think it's safe to say this one is in the discussion. It's typically only available in Belgium at the monastery, so take advantage of this chance to try some stateside without resorting to the black market! And we're back with some more Feature Beer Friday! On tap (er, in bottle) today is the Lazy Magnolia Timber Beast, their Rye IPA and their first "big beer" after the abv laws in Mississippi were amended to allow up to about 10% alcohol as opposed to the previous 6%. unfortunately this one hasn't made its way to Baton Rouge just yet, but I have to imagine it won't be TOO long. We get Lazy Magnolia's other beers, and it's as close as New Orleans, so if you're that way you might see some bottles, or even find it on tap. Serving: 12 oz. standard bottle. Appearance: "Hazy, deep gold, frothy white head." "Great lacing," was Brenton's comment. This one received a 12 or 13 from everyone at the table, out of 15 possibly points. Aroma: A good hop aroma of pine and grapefruit, but also some rye spice. Jay also picked up some citrus and lemon zest in the hop profile, while Brenton described it as peppery. Taste: Hops, lots of hops, and Jay found that the pine, or Douglas fir, hops came through more on the taste. Mouthfeel: Lingering bitter with a big finish, a lot to take in, but enjoyable. Overall: Jeremy, our resident hop hater, described it as a "hop monster," but still found enough redeeming qualities to score it a 68... maybe we're converting him yet. James described it as "not quite Christmas tree... but close." In my opinion this is Lazy Magnolia's best beer yet, and one to definitely pick up when you get the chance! Not too long ago I was contacted by Midwest Supplies about trying out one of their brewing kits and writing about it, so needless to say I took them up on the offer. I don't write about as much as I do commercial beer, but I've been homebrewing for about two years now. I enjoy the art of it, the creativity of creating your own beer, and I don't really mind the consumption of the finished product either. So far, all I had done were my own recipes, but I know there are plenty of fantastic kits out there, so when the offer arose I knew Mandi had been really wanting to brew a pumpkin beer, so it was the perfect choice. The kit came with almost all the ingredients required for the beer, everything but the pumpkin really, but that was easy to find on our own, and cheap as well. Since I wanted to see how well these kits could be used by a less experience brewer, Mandi was the head brewer for this round, and I just sat back as the assistant to take some pictures and drink some beers! First up, the water... I've always had the habit of using bottled water when brewing extract beers... it's probably all in my head, but the few times I tried with tap water the beer tasted off and I've never had that problem with just some natural spring water... at $6 for a full batch it's worth the little extra money. I'm sure if you are brewing at home the tap water would be acceptable, but it also can't hurt to take the extra step. From there, it was time to get the water to steeping temperature (155) and steep the specialty grains. The instructions said to steep them for 10-30 minutes, and that 10 minutes was fine if you are pressed for time. I just have one word of advice here... if you are pressed for time, DO NOT start a batch of beer. It's a long process, no matter how much you try to rush it. We went for the full 30 minutes on the steep, in a muslin bag that I had already (equipment was not included in the kit, but Midwest does sell a wide range of kits) and got the grains to steeping. Once the grains were steeped Mandi pulled the bag out and got the water to a boil, while adding the malt extract and brown sugar and stirring until they were dissolved. Since this was an extract kit, the extra step of malting and sparging the grains to extract all the sugar was unnecessary, which saves some time and I've made several tasty beers this way. Even the award winning Rosemary IPA (2012 gold medal at the Dixie Cup!) was an extract brew. As soon as the boil hit, the first hops went in, and then it was just hanging out until the end of the boil, when the pumpkin, the spices, and last bit of hops went into the pot. The second to last step of brew day, was to chill the wort down to fermentation temperature... I have a copper heat exchange coil which works pretty well but even that can take 30-45 minutes. It's a lot to ask to bring 5.5 (after boil off) gallons of water from 212 degrees down to 68. Eventually though, the beer was at the right temperature, and Mandi pitched the yeast, gave it a stir, and the carboy went into the fermentation fridge. As you can see, there was a lot of pumpkin sediment in the bottom, but that's alright. It'll settle out over the course of a few rackings and won't make it into the finished beer. After letting the beer ferment for a few weeks it was racked into secondary, and then kegged. A couple of days of carbonation later, and the beer was ready to drink! I thought it turned out very nice... and easy-drinking pumpkin ale with good pumpkin flavor and still some hop bitterness. This beer actually smelled a lot hoppier when it was fermenting, but it settled down to a nice level for the finished product. The color is right on for a pumpkin ale, and I must say I was very pleased with the finished product. Mandi did a fantastic time with her brew, and with the instructions provided it was pretty easy to get the job done. If I had any suggestions, it would be that the directions were a combination of too intense, or too simple. There were a lot of 10-30 minutes, or 5-10 minutes in there that could have been done away with in favor of an exact number. There were also some quick instructions which would have been fine for an experienced brewer but way too simple for someone with little to no experience. This kit isn't really made to be an introduction to brewing though, it's an ingredient kit and it put out a really nice pumpkin ale. If you want to get into brewing but don't have the equipment, find a friend who does, buy a kit like this, and get them to help you through it. Then relax and have a homebrew! Written by special guest writer Dustin Davis, thanks Dustin for your contribution! A couple of weeks ago I hit the road to follow the LSU Tigers to College Station for their matchup with the Texas A&M Aggies. Having never been to College Station, I decided to do a little research on the best place for craft beer in the area. The results were clear. 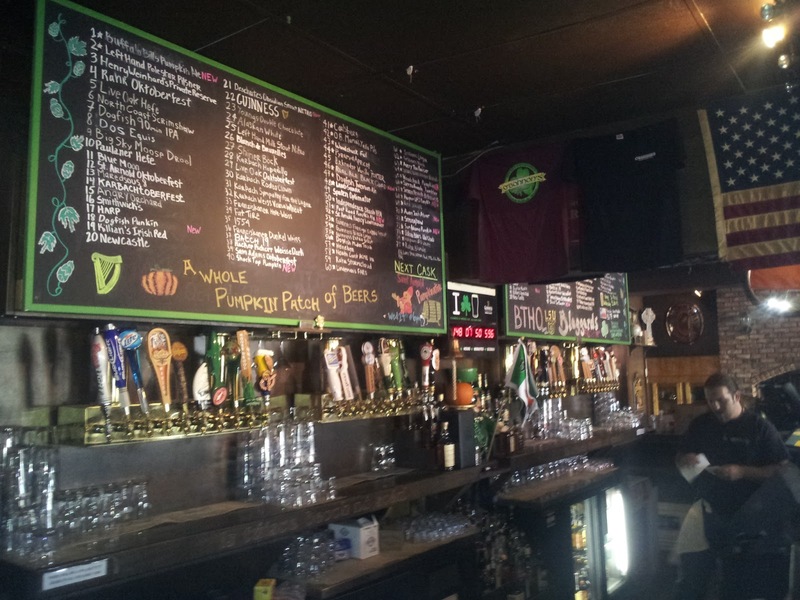 O’Bannon’s Taphouse (facebook) was the place to go. I arrived at O’Bannon’s on Friday afternoon and met with owner, Chris Steele, who was nice enough to stick around and let me bug him with some questions. 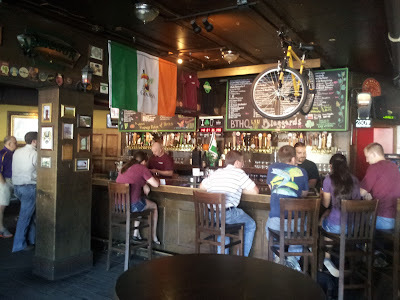 O’Bannon’s has a great Irish pub look and atmosphere, but it was apparent that the beer selection was far greater than that of your average Irish pub. With 50 beers on tap and around 80 beers total, there were the Irish pub musts, Guinness, Harp, and Smithwick’s, but what set O’Bannon’s apart was their American craft beer selection, specifically Texas craft beer. Chris had a sampler of Texas beers brought over with beers from Rahr & Sons Brewing Co., Live Oak Brewing Co., Karbach Brewing Co., and Saint Arnold Brewing Co. Some of the highlights of the sampler were the Karbach Rodeo Clown Imperial IPA, Saint Arnold Oktoberfest and Live Oak HefeWeizen. The Live Oak HefeWeizen is an exceptionally good beer and is currently the 2nd highest reviewed hefeweizen on BeerAdvocate. A sign of a bar owner who really cares about a beer is a number of seasonal offerings. This shows me that I’m drinking fresh beer and attention is paid to beer selection and tap rotation. This was all evident at O’Bannon’s, with many fall selections, from Oktoberfest beers to pumpkin beers. 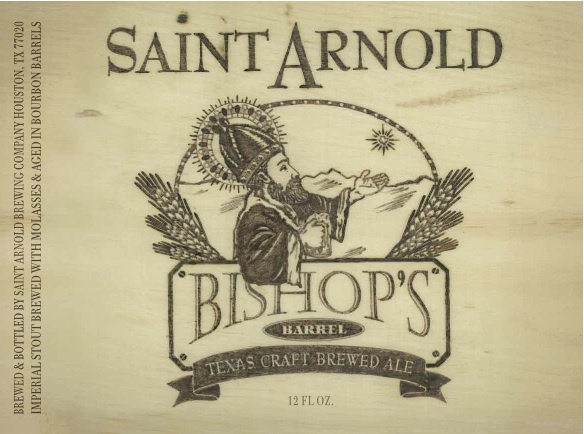 I was also impressed when Chris told me they regularly host cask nights, though I was saddened to discover that I would be missing a Saint Arnold Pumpkinator cask night by just a few days. After some friendly conversation with some Aggies and a couple more pints of beer it was time to say “Slán go foil” (goodbye for now) to O’Bannon’s Taphouse, with plans in the works for a return in the spring for the LSU vs. Texas A&M baseball series and many football games in the future.